Windsor-Essex County Nurses Ask: "Where's our Employer?" WINDSOR-ESSEX COUNTY, ON, March 22, 2019 /CNW/ - The more than 80 Nurse Practitioners, Public Health Nurses and Registered Practical Nurses from the Windsor-Essex County Health Unit are asking where their employer is and why the health unit has not returned to the bargaining table. These nurses have been on the picket line since March 8 – International Women's Day – in their quest for an equitable collective agreement. Windsor-Essex County Health Unit CEO Theresa Marentette posted a message on the health unit's website saying: "…we will make every effort to get back to the table to reach a deal…" yet there has been no movement from the employer's bargaining team. 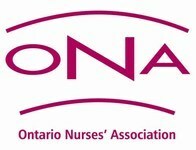 The health unit is missing in action," said ONA President Vicki McKenna, RN. "It is outrageous that our highly educated, knowledgeable and dedicated nurses have been on strike for two weeks and the employer would rather let the community's health and well-being continue to be at risk than return to the table." She adds that the "support and respect our members have been receiving from the community, businesses, politicians and other labour organizations is overwhelming," said McKenna. "The community of Windsor and Essex County has a number of serious public health issues which are going unaddressed while this walk-out continues. "We know the health unit has adequate funding but it appears to have dug in its heels and will let the community pay the price rather than acknowledge the value of our nurses." There is increasing demand for the programs and services delivered by the nurses, such as immunization clinics, which were cancelled prior to the start of the strike. McKenna is urging the health unit to return to bargaining now. "Our members want to be there to deliver the programs and services the people of this community need and rely on. It's time to reach a new deal and ensure our hard-working, knowledgeable and dedicated nurses can continue to ensure the health and well-being of their community." ONA is the union representing more than 65,000 registered nurses and health-care professionals, as well as 18,000 nursing student affiliates, providing care in hospitals, long-term care facilities, public health, the community, clinics and industry. 30 Jahre Commerzbank Derivate Gewinnspiel – Testen Sie Ihr Derivate-Wissen. Wir verlosen 3×3.000 Euro! SOCIETE GENERALE: DAX erreicht Jahreshoch - Das wird jetzt wichtig! Apple nimmt zweite Roboter-Linie zum iPhone-Recycling in Betrieb. PUMA-Aktionäre segnen Aktiensplit ab. Samsung nimmt Falt-Handy wegen möglicher Mängel unter die Lupe. 3,4 Milliarden Dollar: Cannabis-Megadeal in Nordamerika eingefädelt. Nestlé: Robuster Start ins neue Geschäftsjahr. US-Versicherer Travelers steigert Gewinn. 09:00 Uhr 30 Jahre Commerzbank Derivate Gewinnspiel – Testen Sie Ihr Derivate-Wissen. Wir verlosen 3×3.000 Euro! Die Performance der DAX 30-Werte in KW 16 2019.